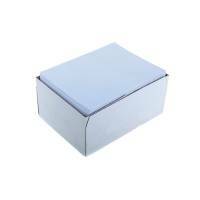 A4 75gsm Ruled Paper Box of 2500 Sheets 73914 Pack of 1 A4 75gsm Ruled Paper Box of 2500 Sheets 73914. 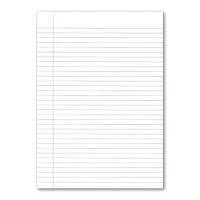 A4 lined paper. Feint ruled with margin. 2 hole punched. 75gsm. Q-Connect 11x9.5 Inches 1-Part 60gsm Plain Listing Paper (Pack of 2000) C16PP Pack of 1 Q-Connect Listing Paper. All wood free paper for smooth performance with no dust or wood particles to jam your printer head. Bright White finish produces an excellent clear image every time. 11x9.5in. 1part. Plain. 60gsm. Q-Connect 11x9.5 Inches 2-Part NCR Plain Listing Paper (Pack of 1000) C2NPP Pack of 1 Q-Connect Listing Paper. All wood free paper for smooth performance with no dust or wood particles to jam your printer head. Bright White finish produces an excellent clear image every time. 11x9.5 inch. 2part. NCR. Plain. 60gsm. Q-Connect 11x14.5 Inches 1-Part 60gsm Plain Listing Paper (Pack of 2000) J16P Pack of 1 "Q-Connect Listing Paper. All wood free paper ensures smooth performance with no dust or wood particles to jam your printer head. Bright White finish produces an excellent clear image every time. Size: 11x370mm, 1part, Plain. 60gsm." Q-Connect 11x14.5 Inches 1-Part 60gsm Music Ruled Listing Paper (Pack of 2000) J16R Pack of 1 "Q-Connect Listing Paper. All wood free paper ensures smooth performance with no dust or wood particles to jam your printer head. Bright White finish produces an excellent clear image every time. Size: 11x370mm, 1part, Ruled. 60gsm." 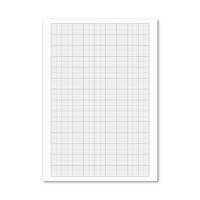 Q-Connect 11x9.5 Inches 3-Part NCR Plain Listing Paper (Pack of 700) C3NPP Pack of 1 Q-Connect Listing Paper. 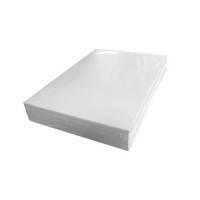 All wood free paper for smooth performance with no dust or wood particles to jam your printer head. Bright White finish produces an excellent clear image every time. 11x9.5in. 3part. NCR. Plain. Long Edge. 60gsm. 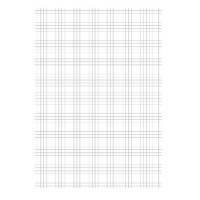 Q-Connect 11x9.5 Inches 1-Part 60gsm Plain Micro-Perforated Listing Paper (Pack of 2000) C16MP Pack of 1 Q-Connect Listing Paper. All wood free paper ensures smooth performance with no dust or wood particles to jam your printer head. Bright White finish produces an excellent clear image every time. Size 11x9.5in. 1part. Plain. 60gsm. Microperforated. 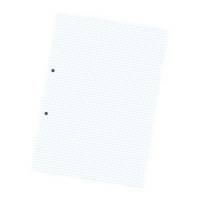 Q-Connect 11x9.5 Inches 1-Part 70gsm Plain Micro-Perforated Listing Paper (Pack of 2000) C17MP Pack of 1 Q-Connect Listing Paper. All wood free paper for smooth performance with no dust or wood particles to jam your printer head. Bright White finish produces an excellent clear image every time. Size 11x9.5in. 1part. Plain. 70gsm. Microperforated. Q-Connect 11x14.5 Inches 1-Part 70gsm Plain Listing Paper (Pack of 2000) KF50071 Pack of 1 "Q-Connect Listing Paper. All wood free paper ensures smooth performance with no dust or wood particles to jam your printer head. Bright White finish produces an excellent clear image every time. Size: 11x370mm, 1part, Plain. 70gsm." Q-Connect 11x14.5 Inches 1-Part 70gsm Music Ruled Listing Paper (Pack of 2000) KF50073 Pack of 1 "Q-Connect Listing Paper. All wood free paper ensures smooth performance with no dust or wood particles to jam your printer head. Bright White finish produces an excellent clear image every time. Size: 11x370mm, 1part, Ruled. 70gsm." 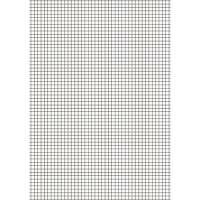 Q-Connect 11x9.5 Inches 3-Part NCR Perforated Plain Listing Paper (Pack of 700) KF02709 Pack of 1 Q-Connect Listing Paper. All wood free paper for smooth performance with no dust or wood particles to jam your printer head. Bright White finish produces an excellent clear image every time. 11x9.5in. 3part white and yellow and pink. Plain. 60gsm. Q-Connect 11x9.5 Inches 2-Part NCR White and Pink Plain Listing Paper (Pack of 1000) KF02708 Pack of 1 Q-Connect Listing Paper. All wood free paper for smooth performance with no dust or wood particles to jam your printer head. Bright White finish produces an excellent clear image every. 11x9.5in. 2part White and Pink. Plain. 60gsm.